Rule No.1 for a new Skyrim play through:Never, ever, kill 'The Chicken'. Guys , i dont have a pc or skyrim at all. Is it worth getting this game? 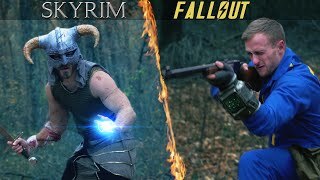 Skyrim is my favorite game ever! Iv'e completed it 5 times now I want Skyrim remastered, the graphics do look a lot better and now it doesn't take an hour to turn round haha! They did a horrible job if they were trying to improve it, I barley see any difference. i love you Bethesda but come on, how is this a remaster? just need to wait for 64 bit skse.. will play again of course. Hi game riot your videos are awesome. You are one of the people that inspired me to start my YouTube journey. There is a lot more color, its a little less "gloomy" but I think I would have to get it myself to see the difference. 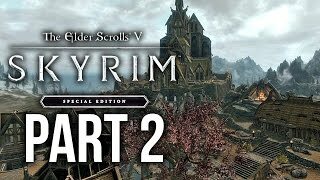 Skyrim was my favorite game on the 360, I'm so hyped for this one, especially with the mods! 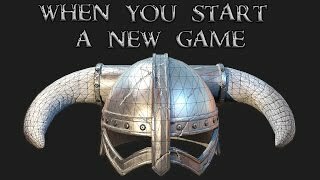 SKYRIM Remastered what did they fix it looks the same? Hey the graphics actually look nice! I LOVE YOUR VIDEOS SO MUCH, KEEP DOING WHAT YOURE DOING. YOU MAKE MY DAY. WTF, it looks like normal skyrim..
omg its frustrating watching you play! lol.....get on with it! good stuff! just got a new subscriber. this makes me wanna fire up the ol' 360 & jump back in...still got a long way to go. you should have gone with the stormcloaks. you would have gotten better armor if u killed the imperial captain going with the stormcloak. Remember how the game would freeze once he said step forward? 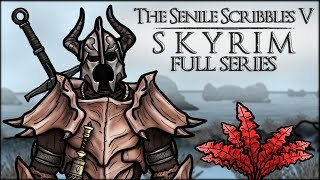 full commentary walkthrough for a first time player please!